Yes still going through Fallout3 and working me way through the DLC that I didn't get a chance to play before my system went phut. Again hell this seems more buggy than ever and it's a rare session that doesn't see me having to reboot the PS3; it took me three attempts to get into Calvert Mansion for instance. 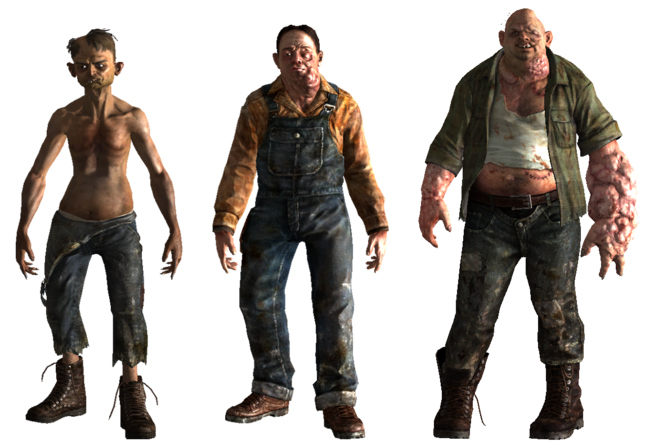 Anyway that's not the point - it's those swamp folk in Point Lookout - dayamn they're tough. This is not an area you want to visit as a low level squib. Put it like this I'm level 28 and have 520 health, of the five types three have health of 400, 600 and 700 and use weapons that will always remove 35 points on a successful hit plus its normal damage (40-85). Oh and they tend to roam in packs. I thought those tribal waves in the close quarter fighting in the mansion was tough, but that was a walk in the park compared to these bad boys. 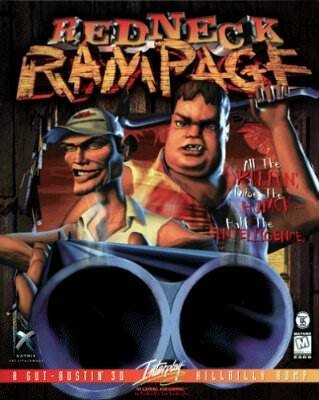 As an aside looking at the models for them I wonder if the developers ever played Redneck Rampage? You tell me?